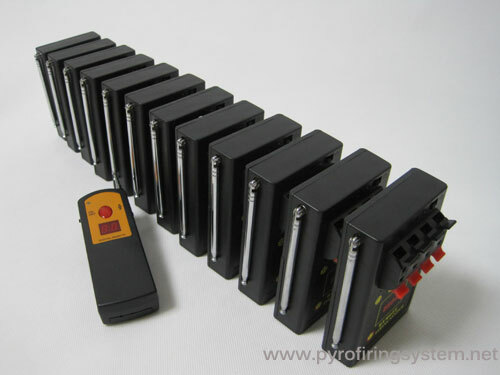 The whole set DBR05-X4/48 including one digital controller, 12 pcs 4 cues receivers(48 cues) and a package case . 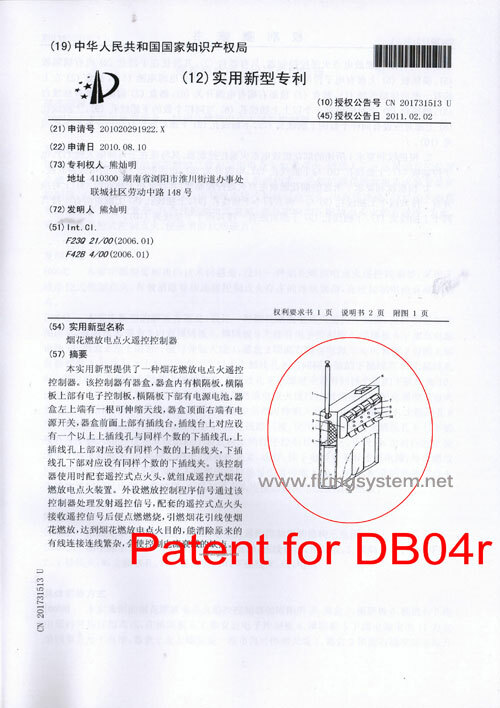 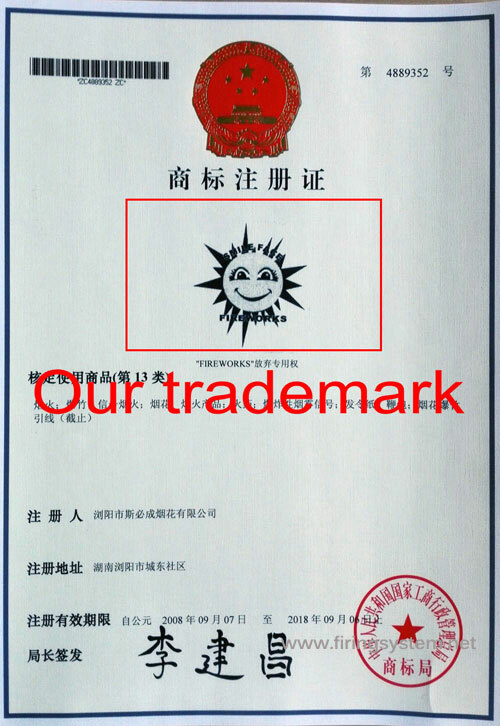 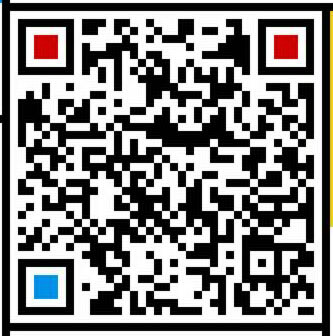 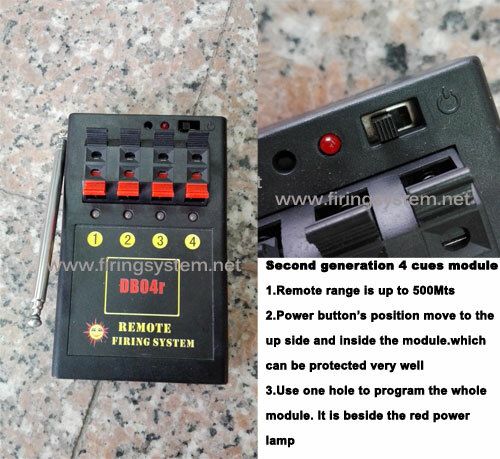 In order to make the products more durable, please connect the products in series. 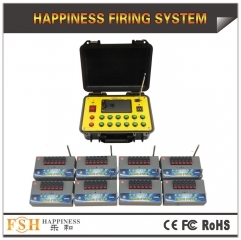 2.Range: 500M. 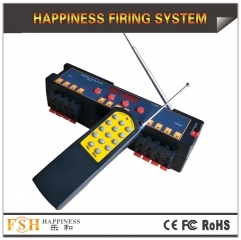 Each receiver with the antenna. 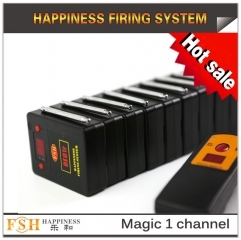 4.Fully programmable - make any or all receivers to any button on any System remote. 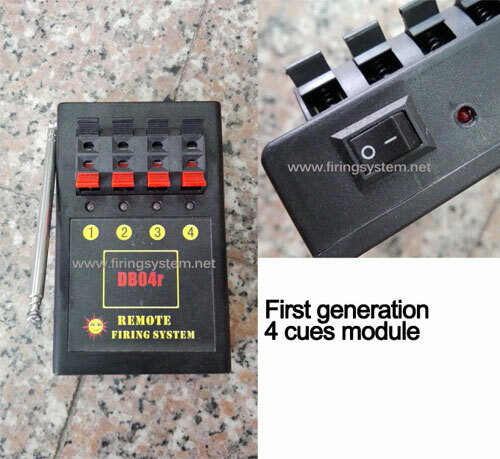 5.Expandable - Add other receivers (available individually) to expand number of cues. 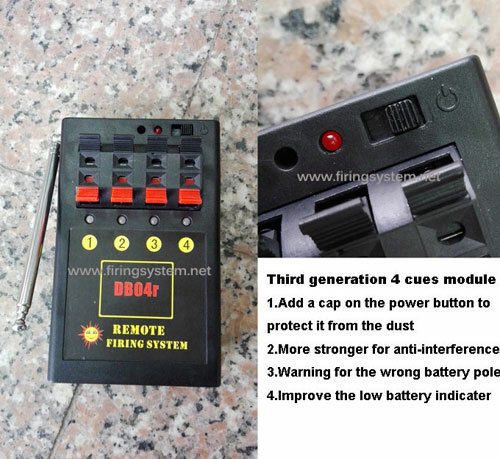 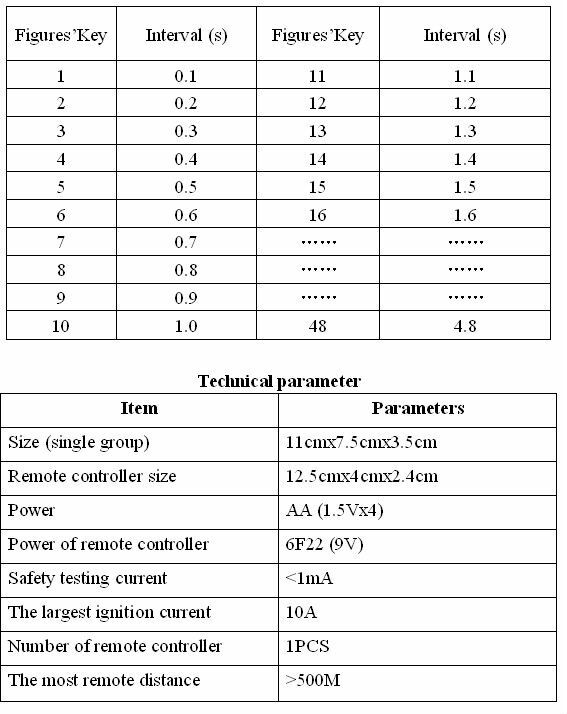 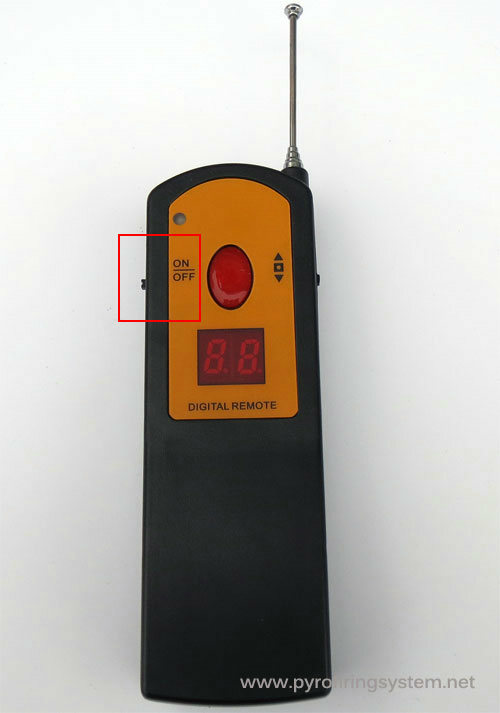 2.Transmitter power source - 9V battery. 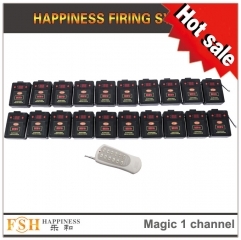 2019 New products magic one channel remote fi..
fireworks firing system,3rd generation CE FCC..
fireworks remote firing system 1 cue,for talo..
Fireworks firing system,1200 cues transmitter.. 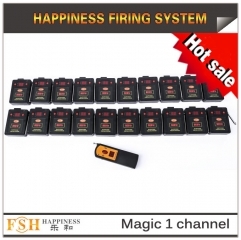 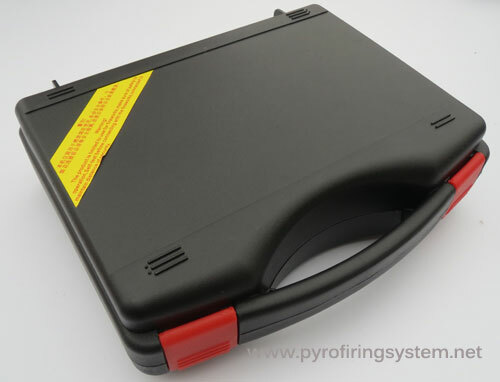 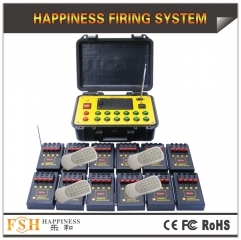 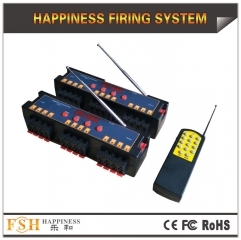 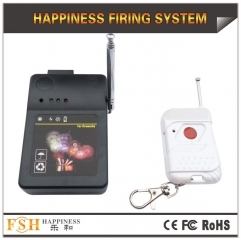 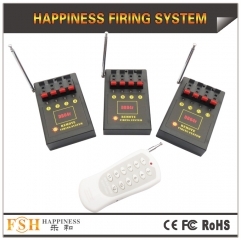 Remote firing system 2019 New products magic ..